A recipe post with a difference, this week: this black quinoa salad was inspired by Wild Honey. 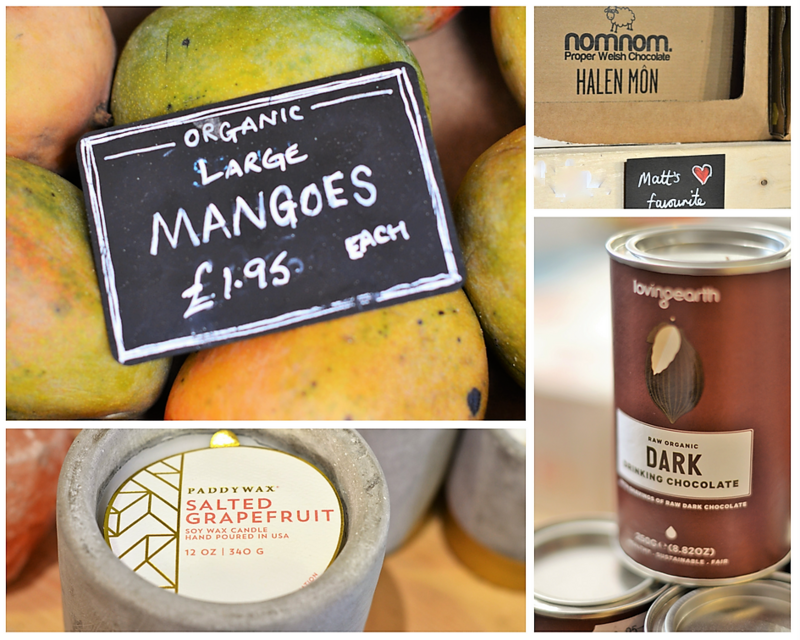 Wild Honey are a fantastic independent Oxford business, selling fresh, local, and organic products. Run by Matt and Jessica, it’s all about the local community and economy, with a real focus on great suppliers. They mainly sell food and drink, but they also sell supplements and beauty products. Obviously for me though, it’s all about the food. I’m going to be doing a few recipe posts inspired by ingredients from Wild Honey. There are two Wild Honey shops, and both are glorious treasure troves of delicious, intriguing products. Yes, you can buy excellent peaches and honey and chocolate and all sorts of the usual things there, but you can also find some lesser known delights on their shelves. It’s those products that I want to focus on. 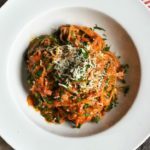 I’m going to develop a few recipes that should hopefully give people a few ideas on what you can do with some of their more unusual ingredients. Hence, black quinoa. Yes yes, I know, this blog is usually all about the baked goods. But even I sometimes eat healthy stuff to break up the endless parade of cakes. Black quinoa is like the exciting older cousin of regular white quinoa. It’s darker, stronger in flavour, and has a more interesting crunchy texture. Like regular quinoa, it’s a complete protein, containing fibre, vitamin E, iron, phosphorous, magnesium and zinc. It’s also gluten free, low in fat, and high in protein. This black quinoa salad also contains raw broccoli and kale. Wait, wait, don’t leave. I promise you, it’s really tasty. 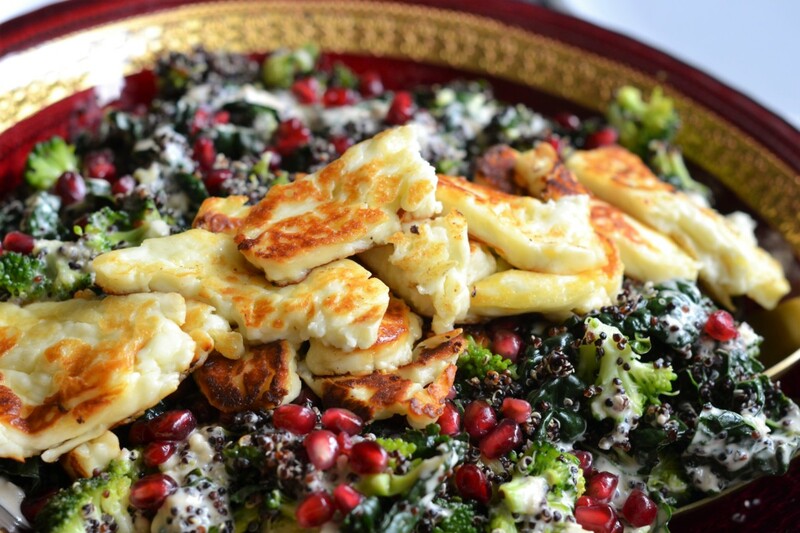 Especially when spiked with a creamy tahini dressing, and finished with shining pomegranate and crispy fried halloumi. You could also switch it up in a dozen different ways. 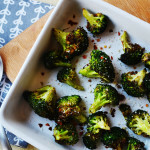 It would work great with cauliflower instead of broccoli, and I think adding a handful of toasted nuts would also be an excellent idea. You could leave off the halloumi if you want, but… I mean, any excuse for halloumi. I would really encourage you to pop to Wild Honey for black quinoa if you live in the Oxford area, or to another health food shop if not. You could also buy it online. 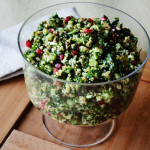 It’s really beautiful in this salad, and more interesting than regular quinoa, with a lovely complex flavour. That said, this would also work perfectly well with white or red quinoa if that’s what you’ve got in the cupboard. I never, ever measure anything in cups normally. However, it does work easily here, because the quinoa : water ratio is volume based. You don’t need a special measuring cup or anything – just grab any old mug, fill it with quinoa, and that’s your measurement. You then need three times as much water as quinoa. This salad feeds 4-6 people, depending on whether it’s a main or a side, and how hungry those people are. Put the quinoa in a sieve, and rinse well for a minute or so. Pop it in a saucepan with the water, bring to the boil with a pinch of salt, then simmer gently, stirring now and then, for around 25 minutes. Check it after 20 to see if it’s cooked – you’re looking for the grains to seem like they have popped open, showing a kernel, and to be largely soft but with a bit of texture and bite. If needed, drain it, but it will probably have absorbed all the water. While the quinoa is cooking, break the broccoli into rubble (i.e. the tiniest little florets possible) and pop it in a big bowl. Shred the kale, removing any tough stalks, and add it to the broccoli. Add a big pinch of salt, pepper, the lemon juice, and the olive oil. 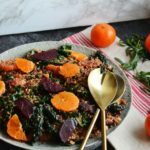 Mix everything together, and then get your hands in and massage it all for a minute or two, or until the kale shrinks, softens, and darkens. 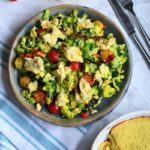 For the tahini dressing, mix all the ingredients together, taste, and season. Cut your halloumi into thick slices, then fry it in a non-stick frying pan for a couple of minutes per side in a little oil, until golden. Mix the cooked, drained quinoa into the broccoli and kale mixture. 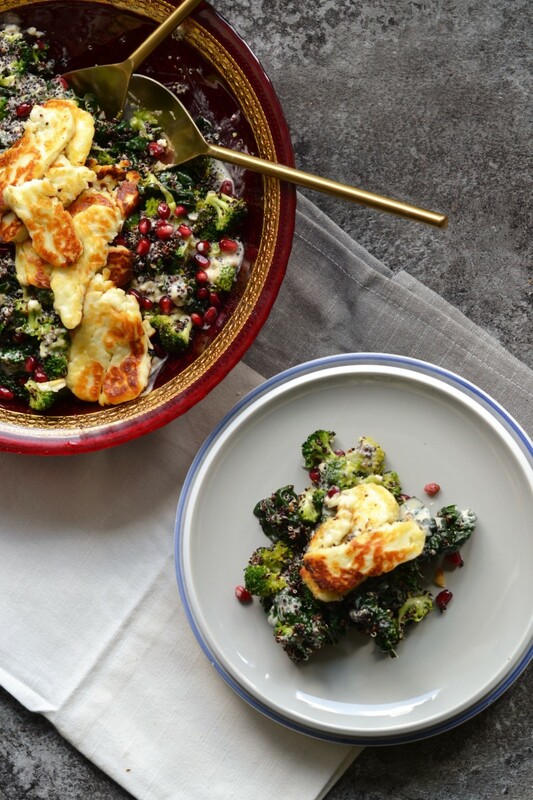 Pop it all into the dish you want to serve in, drizzle with the tahini dressing, sprinkle with the pomegranate seeds, and finish with the halloumi. 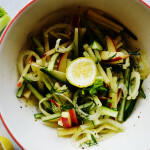 This looks awesome, minus the Halloumi (as it’s dairy) for me. I used my own homemade raw cashew cheese. YUM! Thank you 🙂 And that sounds great! I tried this homemade almond ‘feta’ the other day and it absolutely gorgeous.